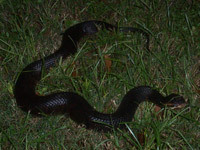 Some of the below snakes were caught with this snake trap (click) which you can order for $19.95 by clicking the link. 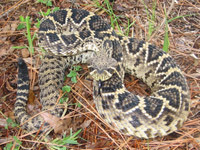 The Eastern Diamondback Rattlesnake is one of the world's most deadly snakes. 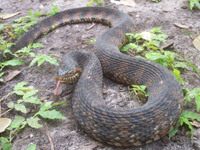 The Cottonmouth / Water Moccassin also has a very venomous bite. 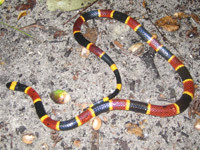 The Eastern Coral Snake has a powerful neurotoxin, but it's not aggressive. 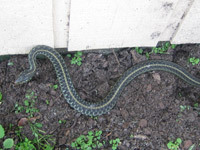 The good old Garter Snake is common and harmless. 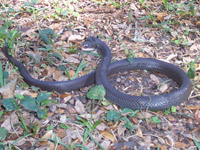 Almost half of my calls are for the Florida Black Racer. 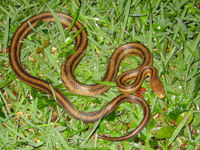 The Yellow Rat Snake is not aggressive, and it eats ...rats. 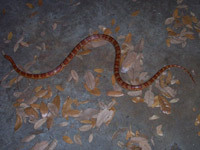 Same goes for the pretty Corn Snake / Red Rat Snake - it eats rodents. 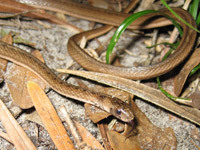 The Blue Phase Garter Snake is somewhat common here in Florida. 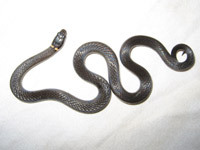 The Juvenile Black Racer looks nothing like the adult - it darkens with age. 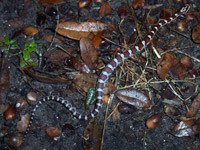 The Juvenile Red Rat Snake has a similar pattern, but the colors are a bit different. 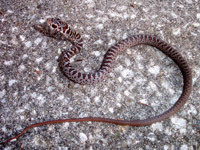 The Banded Water Snake, like all aquatic snakes, is thicker than average. I was very excited to catch this speedy Coachwhip. 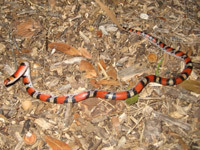 This dopey Florida Scarlet Snake insisted upon twisting up. 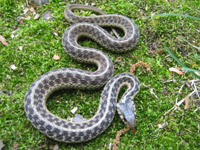 This is the only Pine Woods Snake I've come across. 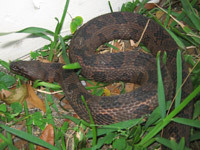 The Brown Water Snake was super-aggressive, but not venomous. 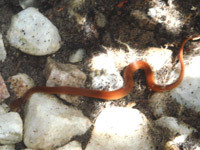 The Florida Ringneck Snake is tiny, with an orange belly. 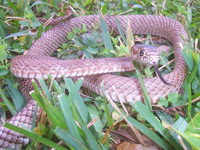 This Florida Brown Snake is totally harmless - leave it be! 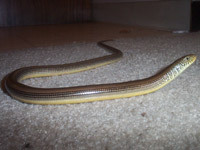 This Glass Lizard is a legless lizard, not a snake. It has eyelids! 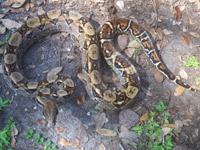 This Burmese Python must have been an abandoned pet - please don't do this! 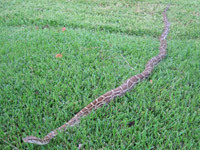 I found this Boa Constrictor in a yard - also surely a released pet.